Kerala is reeling under some of the worst floods seen in 50 years. The floods have paralyzed normal life for millions of people. Thousands of victims from across Kerala are in desperate need for relief supplies. 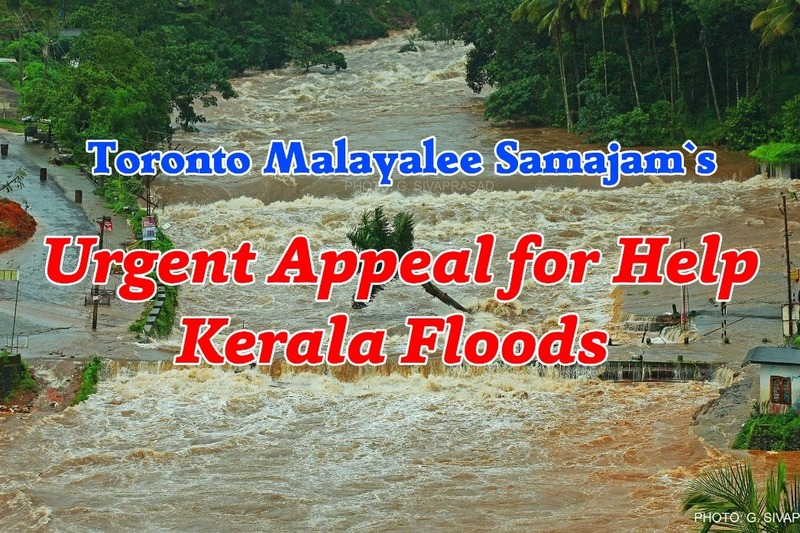 Toronto Malayalee Samajam is urging everyone to contribute generously to Flood Relief efforts.